My New 30: Flower Gardening - Fertilizer Friday! 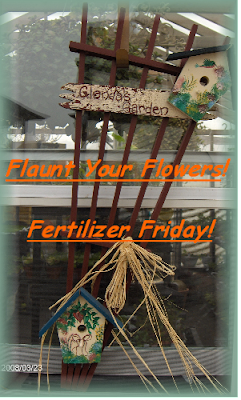 Flower Gardening - Fertilizer Friday! It's Friday, and according to my pal Tootsie, that means it's Fertilizer Friday! This week I fertilized the entire back yard lawn again with some Scott's Turf Builder so I am making progress on getting rid of the massive weeds that had taken over my yard and hopefully beginning to build up a healthy lawn back there, despite my past mistakes. This week, I also fertilized all of my veggie plants and put Epsom salts on the peppers and tomatoes. The peppers look sad from the aphid attack and even though the aphid treatments appear to have worked, the poor things are so stressed and stunted, that I'm actually considering replacing them with healthy plants. I have also been a bit remiss with the Epsom salts and in both of my container tomatoes (the Bush Goliath and Roma) I have seen baby tomatoes with blossom rot. While this is generally a calcium problem, when I religiously use Epsom, the past few years blossom rot has not been an issue. That's not scientific, just my experience. There aren't any tomatoes yet on the raised bed plants, so don't know if the blossom rot issue has carried on there yet. Anyway, thought I'd leave you with some pictures fresh from my garden early this morning of the beneficiaries of these Fertilizer Fridays. Since I don't have massive beds loaded down with each of these flowers, as always, you'll get close up shots. I like those better anyway. I'll also try to remember to come back later and label everything, but for now I'm off to fertilize!! Catch up with y'all later! The roses had one cycle of blooming and except for a few, aren't currently blooming, but just look at all the new growth that is popping up! The whole row of rose bushes in the front look like this right now, as do the ones in the south facing bed in the back yard, so hopefully I'll be seeing some beautiful new roses before too long! I believe that I have planted in here a Chicago Peace hybrid tea, Queen Elizabeth grandiflora, and Rainbow Sorbet, Honey Bouquet, and Honey Perfume floribunda. Some of these roses are just gorgeous, so I can't wait to show them to y'all. Here are some of my garden flowers for your enjoyment! This is an African Iris. I have 3 of these plants in a side garden on the east side of my house, where next to nothing will grow. Between our neighbor and us, we have a lot of oak trees in this area, so generally this isn't a great spot to grow much of anything, but there is one azalea in here (though I'll probably move that to more sun), two palms, one on each end of the bed, two gaura, but it doesn't seem very happy here, some hostas that have yet to emerge, and a boatload of sword ferns that have done fantastic in this spot. This spot gets some intense sun part of the day, some shade part of the day and I've tried all kinds of plants here. I can't tell you right now how many things that I have planted here that have failed, but suffice it to say it's plenty! Just plain ole petunias in a window box - but this one is not in a window. It just sits in a large bed in the front of my house between the sidewalk leading to the front door and the house. This bed has some large shrubs in it so there isn't room for much else. And more of them. These are planted in a narrow path along the outside edge of the sidewalk that leads from the driveway to the front door. These are red and white caladiums, ferns, a hydrangea, and some impatiens in a shady area right at the corner of the sidewalk at the front door. My first gardenia bloom on the bush in the smaller front bed on the east side, by the front door. I love when this is in full bloom because it smells so nice right at the doorway. I pulled a baby off of this year before last and planted it right outside my back door. It's gotten a good size and is full of buds this year. These are perennial dianthus that are in the border of a corner bed in my front yard. I had to put this bed up because my neighbor's kids were using the front couple of feet of their front yard for parking and they were using my lawn to pull in and out! They were digging ruts in my front yard and the whole area was sinking to the point that it would flood every time that it rained. So I stuck up a retaining wall and put a garden there! The heat really got to these flowers last year so I seem to have lost a few plants didn't come back. This year it looks like the oak tree at the corner is sheltering this bed more than I like, so it's become a semi-shaded bed rather than a full sun bed like it used to be. I really love these - they are prolific bloomers and if you keep them watered and fed they pay you back with loads of pretty flowers. One of my rose bushes in the same garden - can't recall this one! It might be the Honey Perfume floribunda. Also in this bed is a very large Helene Althea hibiscus that has large white flowers with maroon centers. A basket of annuals - not sure what kind! Some sort of impatiens I think. This is a Nikko Blue hydrangea along my south fence line. I actually have 4 of these back there kind of in between pampas grass I planted in 2006. This is the first year that I've had them come out blue and I guess that it is because of the acidity of the oak leaves that we decided to use as mulch around them this year. Yet, this Nikko Blue, the next one over in the same bed, seems to be coming in pink. This is a type of asparagus fern -but for the life of me I cannot remember what the purple plant is called! This is a new bed that I put in on the side of one of our sheds. It's a shade bed, so I added some red caladiums and some Tennessee Ostrich Ferns also. The caladiums are just beginning to come up but I haven't seen anything from the ferns appear just yet. This is a bud on a giant upright elephant ear plant - Colocasia Macrorr. I have 3 of these plants, but they don't get very large since we have just enough freezes to do them in every year. They are unique because the foilage turns upward instead of most varieties, which angle downward. Buttercup in the back yard side garden on the east side fence. There are two of them next to each other, next to it is a Bridal Wreath Spiraea plant, but it's already had it's bloom time. One of my climbing roses - Rosa Dublin Bay. Athens Rose Lantana. I have these in a garden in the center of my yard and also against the hot southern facing wall of my house where I can't seem to get anything else to grow. The lantana loves it there though and has gotten huge! I recently transplanted a volunteer from the center garden to this wall since the other one has done so well. In this southern facing garden against the wall there are also two double knock out shrub roses - those aren't in bloom at the moment. One of my daylillies in what I call my "butterfly garden" located in the center of the backyard - one of the few areas in the back that gets full sun. I believe this one is called Strawberry Candy. This is a butterfly bush - Buddleia Butterfly Heaven also located in that center garden. There are also some oriental lillies in this garden - Muscadet and Stargazer, but they haven't bloomed yet. This is another gaura - Pink Fountain - that is right by my back door between the larger veggie garden and the patio. I love your flowers, I am a beginner gardener, i recognized some of your flowers so I'll come back and read the labels! okay...I had no idea you were so far ahead of me too! Am I the only one who is still fighting frost and SNOW???? We are supposed to see a foot of snow on Monday! ugh. Your flowers are so pretty...and you have shown many of my favorites! Thanks for playing...I hope you will join us again next week! Don't you love the ruffled petunias. They are among my favorite annuals. I just discovered you via Tootsie Time. What a lovely garden you have! And the recipes are to die for! Looks like I'll be making fried chicken for dinner, the photos in your sidebar are great! love the idea of fertilize Friday. Maybe I'll remember to do it regularly lol. Beautiful flowers. Ours aren't blooming yet, but have lots of buds. You have so many beautiful flowers Mary. The gardenias have always been one of my favorites. My husband bought me blue hydraneias, I hope they survive the weather here. Thanks everybody for the tips and comments! Beautiful flowers! Also, I thought I'd let you know that Christy Jordan has won you a new follower! She linked your Kool-aid/Lime Icebox Pie post on her blog, and now I'm hooked! That pie looked soooooo good! I'm not a fan of Lemon Icebox Pie, but I do like lime more than lemon, so I'll have to try it your way! Hi Patricia! 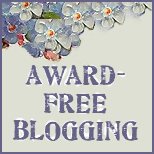 Welcome to my little corner of the blog world. That Christy is a sweet mess isn't she? Lemon, lime I love 'em both! The pie really was good and I knew as much as she loved that Kool-Aid I just had to make it. Thanks for visiting my blog. Any friend of Tootsie is a friend of mine. You have a beautiful garden. You have such a variety of plants. I'll be back! Have a great weekend! I swear I think things are more beautiful on the coast! Hi Terrie! Oh if ONLY everything that I have planted since I started in 2006 had taken!! So many things gave into the heat & never came back that I just want to cry when I think about it. Kathy, same here! I LOVE the way you can get a whiff of the gardenia as you are walking in and out of the house. I pulled a sucker off of the main plant and planted the second one by the back door and it's really taking off this spring. The one in the front keeps getting that black leaf - sooty mold I think they call it? Anyway, I treated it this year with pesticide and it's been getting regular doses of fertilizer on FF! Seems to be pretty happy now. This is about the 3rd or 4th season for the peony - course I moved it this season from one spot to another, so guess we'll see what happens! Hey my fellow GRITS gal! I don't know - Memphis looks pretty too. And y'all get Memphis in May too! YUM!! Sure miss goin' to that!! I'm so glad Tootsie did this flaunt....I've seen so many amazing new blogs and the most incredible flowers! Thanks so much for coming by! J.
Hi Jessica! Me too!! It should be fun to follow everybody to see how the flowers change over time. Beautiful flowers. I am new to Fertilizer Friday. It's great! Curious about the Epsom Salts, I have never heard that before. Hi Teresa! Oh goodie goodie another garden to visit!! I use Epsom salts on my roses, pepper plants and tomatoes. 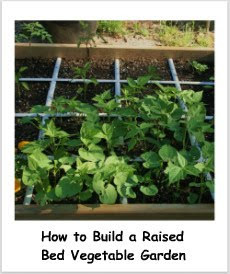 They help the fertilizer to work better - I have more detailed info about it on my fertilizing post - click here if you're curious! Oh and by the way, this was my post from 2 Fridays ago - go here for my newest FF post from this past Friday, if you're interested. Thanks for stopping by!! I look forward to seeing your gardens.